Diwali is an Indian Festival that represents the victory of Good over the Evil. Today our role models are never good for the Public. Leaders are either less bad or more bad. Bahuut Kharab(very bad) but never good. They exchange bombs and fireworks to Win their jobs even before the festival arrives. See the humiliation showcase given by lesser bad to more bad leaders. Indian media thankfully in English Hindlish is full of all such caricatures. See how on the Diwali eve defeat of PM Modi simplifies beef reservations while exposing the double standards of those who wear the mask of a cow protector. When Netas try to politicize Cow Politics instead of Human Politics they are bound to get kicked. India under Modi Rule continues to be the hidden but a proud Number One Beef Exporting Nation. More then 50 Lakhs hungry but holy cows who feel cheated and confused are forced to sit in middle of the Indian Roads and block the survival issues. Politicians must stop the Hate politics and start promoting the honest Cow Politics. Hunger Vs Cow with no milk? At the time when our honourable PM is ignoring the wise guidance of elders and opposition the time is for us to learn from cow`s essential freedom as a teacher of Indians since Vrindavan days of Lord Krishna. We also need to reject the double standards of the Gau Rakshaks as India remains World`s Number one beef exporter with pride. Our clever role models who call themselves as `Chowkidar` or `Nagar Sevaks` work against the Public interest. People as the masters and tax payers remain as helpless as the cow. Master as voters need to unite and control their Chokidaars(MPs) and Nagar Sevaks as Ministers and start learning from a cow economy and its rich but modest utility. 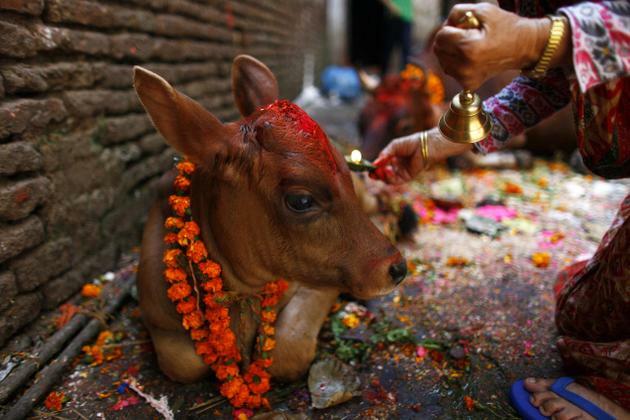 Allow this Diwali to rock and to bring Peace & wealth for all including the `desi` Cow. अब्दुल बारी सिद्दीक़ी हो सकते हैं बिहार के डिप्टी सीएम!